Gorgeous to look at, brilliant to drive and nowadays a very rare sight, the Alfasud Sprint is a cracker of a car. We reacquaint ourselves with its considerable charms in a perfectly restored Sprint Veloce 1.5. Story by Peter Nunn. Photography by Michael Ward. 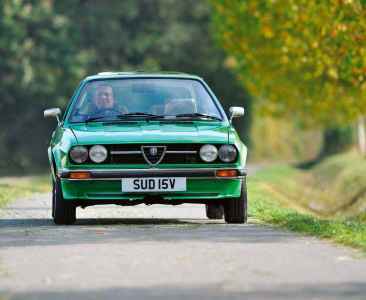 When it was new, the Alfa Romeo Alfasud Sprint Veloce was an absolute peach of a car. Light, agile, quick, compact and uncommonly sophisticated for its class, it was also blessed with that superb, sleek Giugiaro coupe body. 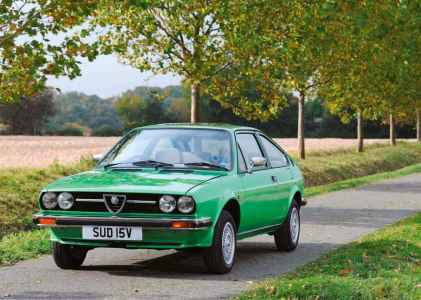 Delicate and delectable, the Sud Sprint also possessed all the Sud’s famed handling magic and its zingy flat-four engine, thus registering high on the enthusiast’s Richter scale. True, it wasn’t quite perfect. Bank vault build quality was not a noted feature of Italian cars back in that 1970s-1980s era, while the electrics could be ‘characterful’. But as an all-round package, the Sud Sprint simply had masses going for it. Remarkably, the Sud Sprint design is now over 40 years old (appearing in 1976, five years after the original Alfasud) yet today, one look at Ted Pearson’s exquisite Alfasud Sprint Veloce 1.5, the car you see here, confirms that the elegance of that highbrow Sud design is still just as appealing as ever. It helps, of course, that Ted’s 1981 Sprint Veloce is one the desirable late first series ‘chrome bumper’ cars, seen by many as the most collectable of the breed (before big ‘Veloce’ graphics and plastic extended bumpers and side mouldings started to appear on later gen models). It’s the purity of that original, unadorned Giugiaro shape that continues to hit the mark, although, to be fair, the later Sprints (running up to 1989) compensated with extra brawn, speed and interiors that were more vibrant and better equipped. 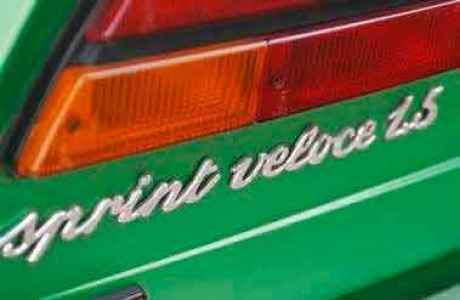 Another factor when considering the Sprint Veloce is, of course, rarity. When did you last see one of these, outside of a club gathering? The vast majority of Suds have now sadly disappeared, which makes survivors like Ted’s Veloce all the more prized. The fact that it’s in showroom immaculate condition and retains its original spec only adds to the value. It surely has to be one of the best (if not ‘the’) best Veloces in the UK. So expectations were high when, on a bright autumnal day, Ted’s Sud Sprint Veloce emerged from its garage in rural Hertfordshire for a rendezvous with Auto Italia’s cameras. Straightaway, the Sud Sprint grabs the attention, not just because of its fantastic condition but because, well, it’s green. 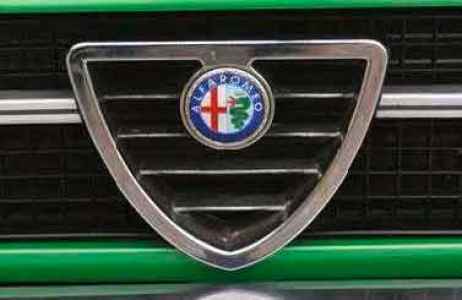 Yes, contrary to popular belief, Alfa Romeos don’t have to be red, and we happen to think that this particular shade of Metallic Verde Faito, offset with factory optional Campanatura alloys, suits the diminutive Sprint Veloce very well indeed. Wouldn’t you agree? So what is it about Alfasuds that attracts owner Ted Pearson? “I think at 50-something years of age, nostalgia plays a part,” he says. “Growing up I avidly read anything I could find about motor racing and fell in love with Italian racing cars. It struck me that Alfas had this pedigree that ran through every one, which seemed to link what could be viewed as a humdrum road car with an exotic race car. “When I was at primary school, Tipo 33s were racing, Brabham Alfas were in F1 and my Dad’s car (an Alfetta GTV) had a link with that.” The sights and sounds of Alfa’s F1 team at Brands Hatch with the Alfa 179 only further fuelled this Alfa Romeo fire. When Ted got to 17, the ‘only’ car he would consider was an Alfasud. “I remember selling my soul to buy that car, and it’s now my green race car. In my mind, it had the link to all the great racing Alfas of the past, as it had their DNA – it sparkled and I felt part of a club. I think my ownership then showed me what a great car the Sud was. “I started to realise the beautiful engineering design and understood its value to overall car performance: inboard brakes, which allowed larger discs relative to wheel size; upside-down shocks which lessened unsprung weight; flat-four engine with its low centre of gravity; gearbox behind the diff mounted far back in the car on a long mounting shaft, evening up weight distribution; Watts linkage on either end of the beam axle, which twists to give anti-roll and some rear-end steer. “All these added together make a well setup Sud sublime, and with the best engine, the 95hp Veloce, exceptional. There are faster cars (I have many) but none offers the balance or the effortless fingertip handling.” Thus Ted Pearson, a long-time Alfa fan who also houses two quick racing Suds under his roof, was looking to add to his stable with a good Sprint Veloce. Through a fellow Alfasud enthusiast, word of one came up in Northampton. 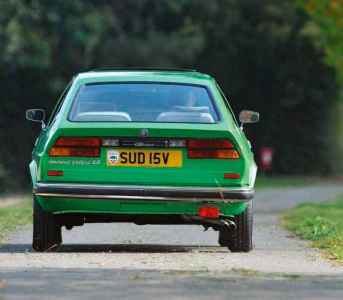 A green, two-owner, 1981 Sprint Veloce 1.5, albeit with a non-running engine and which had been off the road for the previous 18 years. Ted went up to look and a deal was done. As Ted recalls, “I asked Tom Shrubb (retired from BLS Automotive of Lincoln, the Alfasud guru) to recommission it for me. 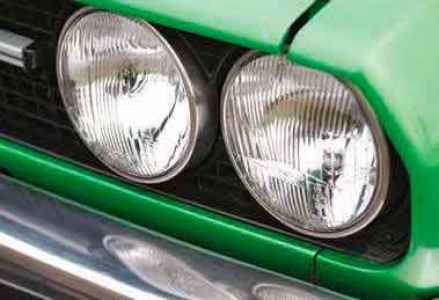 Tom has looked after my green racing Alfasud for 30 years. He is responsible for the reengineering of my Group 2 Autodelta Trofeo Alfasud and knows these cars as well as anyone in England. His attention to detail and craftsmanship are on another level, as far as I’m concerned. “When Tom got stuck into the Veloce, it became apparent it had a cracked piston, so we thought we would rebuild the engine exactly as standard – but at the same level of balancing and tolerances as a race engine, hence it runs like a turbine! During the recomissioning, every mechanical aspect was refreshed – brakes, clutch, steering, gearbox and so on.” As for the body, Ted says he hasn’t spent a penny! There are two further asides with this story. 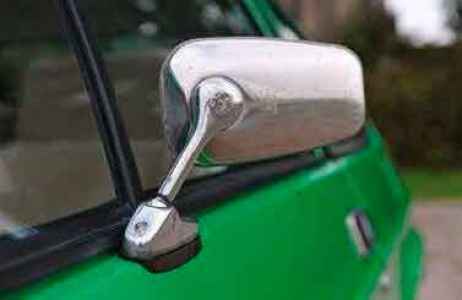 Talking dates, it transpires the car’s second owner registered the Alfa on 22 September 1984. Ted acquired the Sud and managed to register it on 22 September 2016, exactly 32 years apart. Just how neat is that? And that prized SUD 15V number plate? No big money was paid to any personalized number wheeler-dealer. On checking with DVLA, it was discovered the number had never been issued. So it was a simple, low cost first registration – another result. In profile, the Sud Sprint Veloce seems positively tiny next to most modern cars, with that ultra-low roofline, squared-off four-headlamp front end and sloping glass hatch. It’s surely one of Giugiaro’s underrated greats, like a crisp Alfetta GT coupe in miniature. And those wheels, shod with slimline 155/70 R13 Michelin rubber – another blast from the past, all but unthinkable today. However, as we all know, the Sud is not about big wheels and grip; it’s all about lightness, balance and response. Plus the smoothness and eagerness of that iconic flat-four engine, wearing two twin-choke Dell’Orto carbs in this case, the factory quoting 95hp at 5800rpm and 96lb ft of torque at 4000rpm. 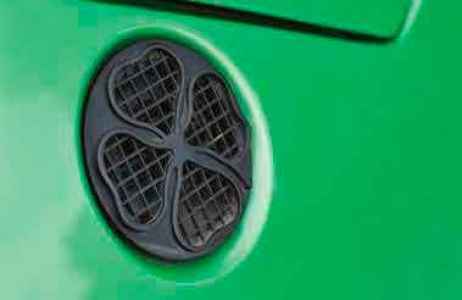 The engine sound and that delicious raspberry-style exhaust are also part and parcel of that endearing Sud DNA. Back in the day, Autocar hailed the Sud’s handling as “incredible”. Alfa’s new wave front-driver also brought superb steering and roadholding to the mix. It feels every bit as good today. As Ted demonstrates his Sprint Veloce around some bucolic Hertfordshire back lanes, the car is tight and on the button. Up ahead, the Sud 1490cc flat-four is just so lively: smooth, revvy and turbine like, in a highly addictive way. Just as the Alfasud team under Rudolf Hruska planned it, the Veloce is sweet and sharp through bends, a real ‘fingertip’ car, and a wonderful throwback to a more innocent era uncorrupted by the likes of power steering, airbags, ABS, ESP and pedestrian safety (as worthy as they are on modern cars). The Sud’s interior is simple yet attractive, with soft seats and a neat instrument pack. It’s a little tight inside, however, with that low roofline, but there’s decent space for luggage under that glassy tailgate, underscored by classy ‘Sprint Veloce 1.5’ script. We all know how the Sud story ends. As a project, it was tremendously brave and farsighted. 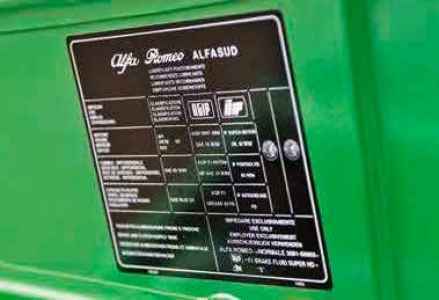 But setting up an all-new factory in Southern Italy plagued by strikes and poor quality, plus the dreaded R-word (rhymes with ‘dust’) put a serious hit on the reputation of the Alfasud, inspirational though it was, and of Alfa Romeo itself. During my time at What Car?, we ran a 1.5 Veloce long-termer which was both fabulous and frustrating, sometimes both on the same day! Here, however, we have the best of all worlds: a very pretty late-model chrome bumper Alfa Romeo Alfasud Sprint Veloce 1.5 (what a name!) in perfect condition, owned by a marque enthusiast who intends to keep it that way. Here’s a final thought: if the Alfa Romeo museum in Arese is ever short of a Sud Sprint Veloce to put on show, it knows exactly where to come. This metallic green Sud Sprint is in incredible condition, and has superbly light and balanced handling.